Winnie Blackwell is responsible for the Campus Modernisation program, which forms part of Box Hill Institute Strategic Plan 2015-2018. The Campus Modernisation unit provides support and assistance to the Chief Executive Officer to establish the goals, major priorities, development strategies and overall executive direction to ensure successful completion of the Campus Modernisation program. The unit manages all Box Hill Institute construction, project management, engineering, and development functions of the program. 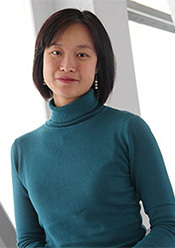 Winnie has international experience spanning over 17 years in diverse service and project-oriented environments. Before moving to Box Hill Institute, Winnie held the position of General Manager Projects at Public Transport Victoria, overseeing a wide range of complex rail infrastructure and technology projects. Winnie has considerable experience in project and program management with complex stakeholder and commercial arrangements. She enjoys building partnerships and alliances with other government agencies as well as private organisations.